If you live in the SE22 area of London and are in desperate need of a plumbing service that can complete jobs to the highest of standards by highly qualified professional plumbers then Home Cure are the choice for you. Whether the problem is a blocked drain, leaking tap or boiler repair Home Cure can fix all of these problems quickly. Home Cure have plumbers based within the SE22 area of London so there will be no problems with getting to your house on time. 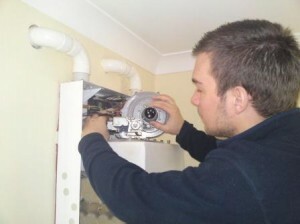 Home Cure have specialist plumbers for the more difficult jobs within plumbing that may need attending to. Before a job Home Cure will inform you of all the prices so that there is no need to worry about it at the end of a job. The prices are competitive and we will never ask for you to pay for a call out no matter how far we travel. During jobs our plumber will keep you fully informed of what is going on so you are up to date and don’t need to worry.